The New Zealand Mint seemingly has big plans for the coin note format and after the launch of Star Wars and a surprise Star Trek, they’ve returned to their venerable Disney licence for another new series. Having previously appeared on an extensive range of gold and silver coins, Disney Princesses are back for a new range of six coins. The specifications remain the same as the two sci-fi series – an expansive 150 x 70 mm in size and formed from five grams of fine silver. Colour and engraving bring the artwork to life and the obverse is a banknote-style series of patterns with the effigy of Queen Elizabeth II in the centre. Unsurprisingly, the coin is issued for Niue Island. This is a six coin series and the first one will again come with a fine looking folder that will hold them all on individual pages. We think it’s fair to say that being able to collect them like this could be a major contributor to the success of this type of coin. Subsequent coins come in a simple sleeve that can then be placed in the album. Despite their size, the low weight keeps the price down and these will sell for $39.00 USD per coin. The mintage of 50,000 is pretty huge and these are clearly seen as a way to popularise coin collecting – something that benefits us all. A brightly coloured series of popular characters, these won’t have huge appeal to collectors of coins, but the Disney memorabilia market is another matter. Rehashing a previous series is a little disappointing but the mint will no doubt have bigger plans for the licence through 2018. 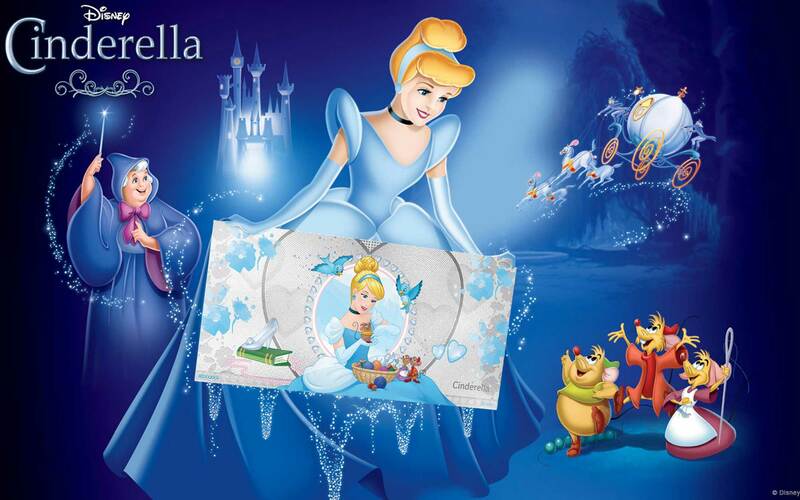 This first striking 5g pure silver coin note in the Disney Princess Collection features a delightful image of Cinderella with the mice and birds that help redesign her mother’s dress for the ball and, of course, her glass slipper. 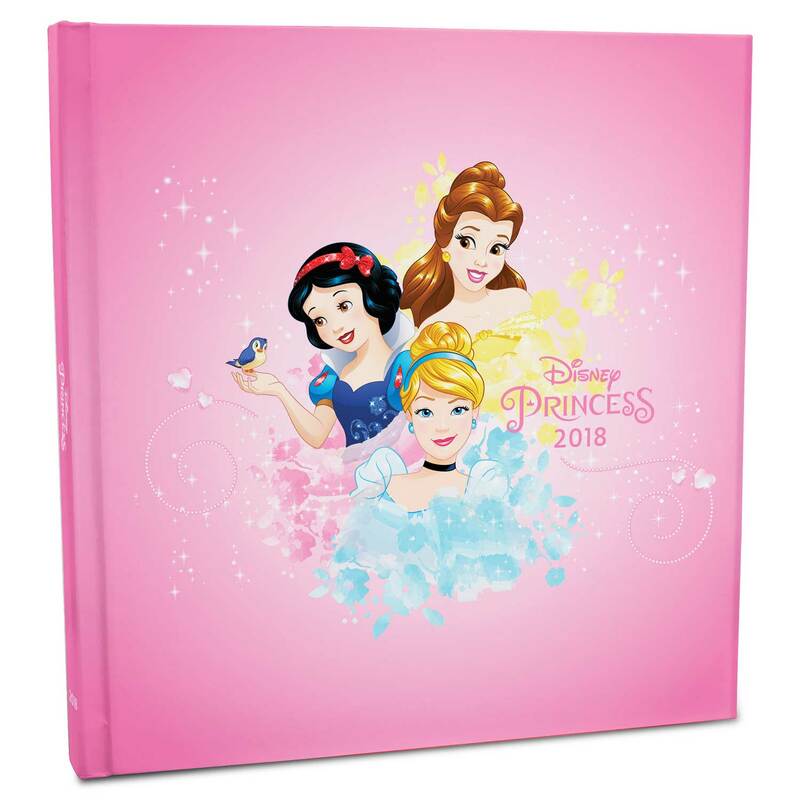 A Disney Princess Collector’s Album is included with purchase. 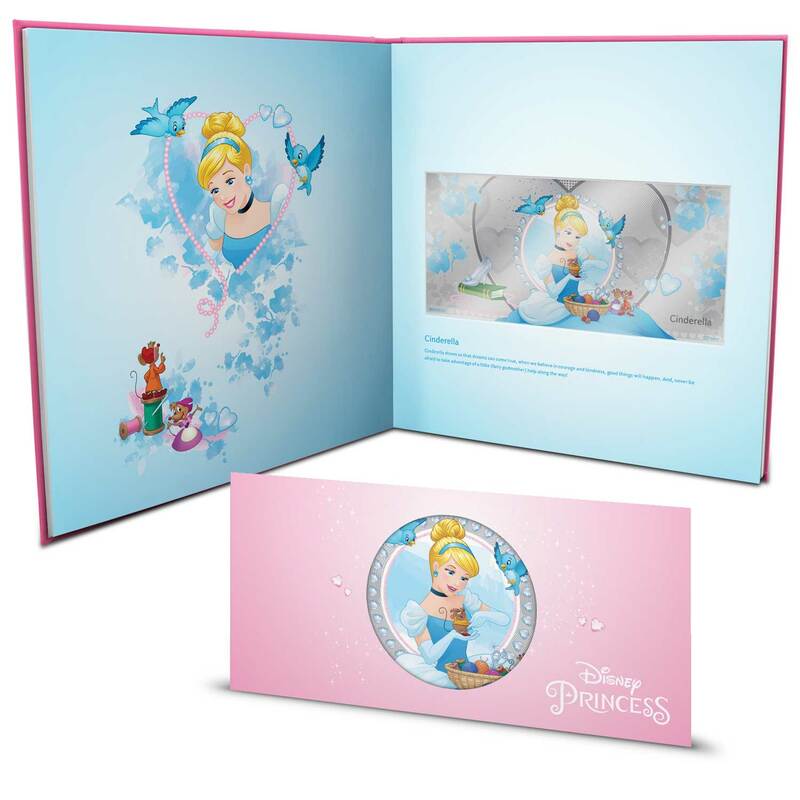 Inside a protective cover, this hardcover album includes a themed page for each of the six silver notes in the collection: Cinderella, Belle, Aurora, Snow White, Rapunzel and Ariel. Each page houses one coin note and includes details of how to dream big, just like the Disney Princess it represents. One important point to note however, the album is completely free with the first coin, but will not be available seperately and will not be provided with any other coin. If you’re going to buy the set, you’ll definitely want to make sure you get the first Cinderella issue.